As an Afro-Latina and Director of Education at Philadelphia’s Taller Puertorriqueño (Taller), Sandra Andino is always looking for ways to educate her community about being Afro-Latino. In 2011, she developed a very successful photography exhibit, What Does It Mean To Be Afro-Latino in Philadelphia: Stories From El Barrio. For three months, from February – April 2011, poster-sized black and white photos stood tall in Taller’s Education Building, drawing large crowds and lots of buzz in Philadelphia, PA, the City of Brotherly Love. Sandra Andino sat down with Los Afro-Latinos to talk about discovering her identity, what it means to be an Afro-Latina in Philadelphia and to talk about the next phase of her exhibition. 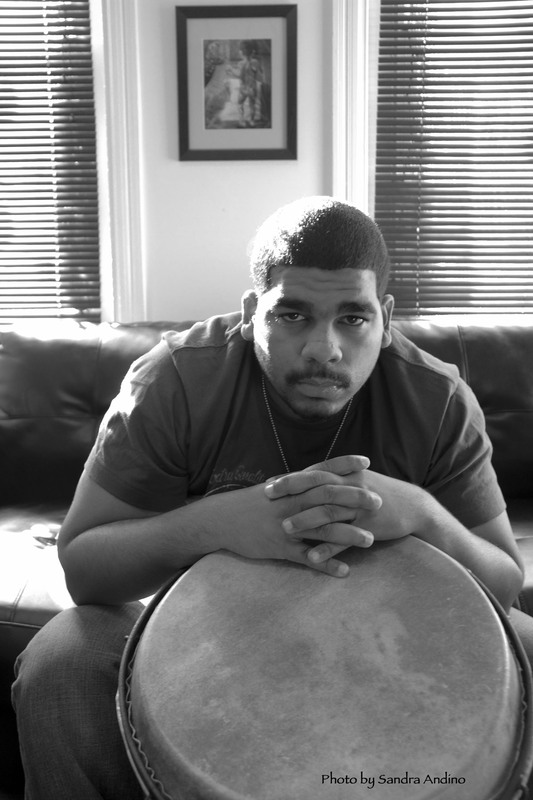 Emilio Tapia: Puerto Rican, Bomba Percussionist and Youth Advocate/Educator. Los Afro-Latinos: What did it mean to be Afro-Latino in Puerto Rico when you were growing up? What did you learn about being Puerto-Rican, of African descent while growing up in Puerto Rico? Sandra Andino: I didn’t know what it meant. I knew I was Puerto Rican and I knew I was black, but I didn’t know what it meant to be Afro-Latino. I based my identity, for a long period of time, just on my nationality. My parents are from Puerto Rico and are Latino. So I didn’t think being black was an issue. During my childhood was when I realized that being black and being Afro-Latino in Puerto Rico…there was something different about me. I just couldn’t clearly articulate it, until I was in high school and my first years of colleges. It wasn’t like I had this big awareness of what it meant to be Afro-Latino. Here we invite you to listen to the interview with Francia Márquez and Clemencia Carabali in Spanish. Aquí les invitamos escuchar la entrevista con Clemencia Carabali y Francia Márquez en español. As the Program Officer to Central and South America, José Henríquez works with Global Links to improve public health and strengthen regional healthcare in Latin America and the Caribbean. Recently, Global Links and Henríquez have focused on Honduras’ Garifuna communities –descendants of Carib, Arawak and West Africans — to provide health care.